Earn rewards with guaranteed wins, twice every week! Exclusive for our readers from Finland, Norway and Sweden, this is a month-long campaign you do not want to miss. 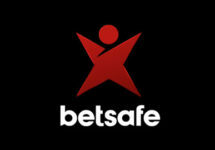 Betsafe will be rewarding all depositing players with Winning Spins, twice per week. These are unlimited Free Spins on selected slots until a players hits a defined win amount, which is based on the total deposits and wagering amounts within the week. Opt-in and watch your inbox on Mondays and Fridays with the details. 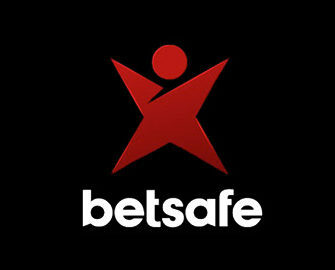 Exclusive for players from Finland, Norway and Sweden, get ready to enjoy a month of guaranteed wins at Betsafe. Simply deposit and wager on any game to enjoy a special Winning Spins reward twice every week until 15th July 2018. Winning Spins will allow players to spin on selected slots until they hit a certain amount of winnings. To be eligible for the Winning Spins paid out on Fridays, deposit and wager minimum €50 on any Casino or Live Casino game between Monday and Thursday. To be eligible for the Winnnig Spins paid on Mondays, deposit and wager minimum €50 on any Casino or Live Casino between Friday and Sunday. There will be eight payouts in total, completed by 18:00 CET on the following days: 18th | 22nd | 25th June and 2nd | 6th | 9th | 13th | 16th July. Spins for 29th June will be paid out on 2nd July 2018. Winning Spins is a feature with no set amount of Free Spins, where players will spin until a defined amount in total winnings is collected. All eligible players will be notified via Betsafe Inbox on which game and up to which amount they will be able to use the reward. Additionally, an in-game tab will display all relevant information. All Winning Spins have to be claimed within three days. Winnings from the rewards are credited as bonus money with a wagering requirement of 35x FS winnings within three days, subject to the Betsafe bonus terms and conditions. Launched in 2006, the casino is operated by BML Group Ltd. under MGA and UK licenses. The player has the choice of mobile or desktop platforms with Casino, Sportsbook, Live Betting, Live Casino, Virtual Sports and Poker. The Casino section has a very large array of games from Netent, 1×2 Gaming, Bally, Barcrest, Bet Digital, Big Time Gaming, Cryptologic, Elk Studios, Fantasma Games, Foxium, IGT, Inspired Gaming, Iron Dog Studio, iSoftbet, JustForTheWin, Leander Games, Lightning Box, Microgaming, NextGen, NYX Interactive, ONgame, PariPlay, Play’n GO, Pragmatic Play, Push Gaming, Quickspin, Realistic Games, Red Tiger Gaming, Scientific Games, StakeLogic, Thunderkick, Williams Interactive and Yggdrasil. The LIVE Casino tables are powered by Evolution Gaming, Extreme Live Gaming, Netent Live and Portomaso Gaming.